The first step in oral hygiene is prevention. Every time a person has a dental cleaning done, they are not just removing stain, they are also removing hard and soft deposits known as tartar and plaque. This helps prevent more serious problems from developing in the future. Our hygienist works in conjunction with the dentist to customize a recall treatment schedule based on your individual needs. We will provide radiographic screening for early detection of cavities and bone loss around the teeth, as well as screening for cancer and any other soft tissue problems in the mouth. For those patients wishing to improve their smile or whiten their teeth, there are options available that can be discussed with the dentist. When cavities are detected in teeth, there is a selection of materials that we would use to fill them in. They are as follows: white fillings, commonly known as composite; silver fillings which are also known as amalgam; lab fabricated white porcelain fillings as well as lab fabricated gold fillings. 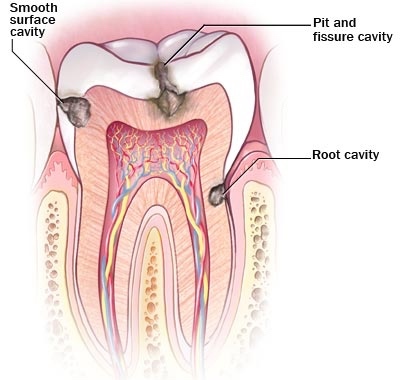 please keep in mind, that the smaller the cavity, the smaller the filling will be and therefore more of the healthy tooth structure will be preserved. 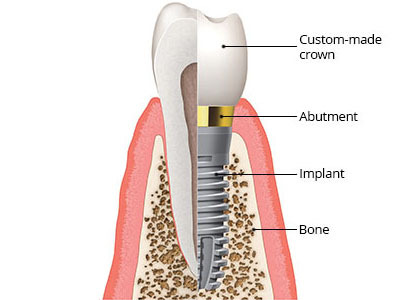 If this is not the case and the tooth is largely affected it may then require crown work also known as capping. Sometimes, if the nerve of the tooth is involved, root canal therapy is required. There are various treatment options for the replacement of missing teeth and they include: fixed bridges, removable dentures, implant supported restorations or a combination of the above. 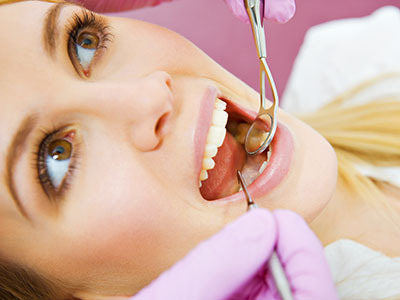 We will put together a dental treatment plan(s) that addresses your individual needs. These treatment plans will be discussed in length with you at a consultation. Then you, the patient, can make your own informed decision.